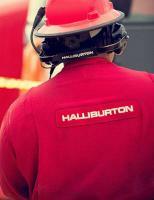 Microsoft and Halliburton have announced plans to enter into a strategic alliance to drive digital transformation across the oil and gas industry. The relationship will combine the expertise of a global provider of cloud and digital transformation with a global provider of exploration and production (E&P) science, software and services. Researchers and engineers from both companies will leverage and optimise Microsoft technologies in machine learning, augmented reality (AR), user interactions and Industrial Internet of Things, as well as Azure’s high-performant infrastructure and built-in computing capabilities to deliver tightly integrated solutions across the energy value chain. Areas of collaboration include: applying deep learning to reservoir characterisation, modelling and simulation, building domain-specific visualisation for mixed reality, creating highly interactive applications and fuelling the digitalisation of E&P assets. As a first step in the alliance, Halliburton has made DecisionSpace® 365 available on Azure, enabling real-time data streaming from IoT edge devices in oilfields and the ability to apply deep-learning models to optimise drilling and production to lower costs for customers. With the power of DecisionSpace® on Azure, big compute and predictive deep-learning algorithms will help optimise field assets and enable next-generation exploration and deep-earth models by using software to fill gaps in sensor data, while reducing the number of steps and time required to render models. The breadth and depth of this collaboration will allow the companies to apply voice and image recognition, video processing and AR/Virtual Reality to create a digital representation of a physical asset using Microsoft’s HoloLens and Surface devices. Additionally, the companies will utilise digital representation for oil wells and pumps at the IoT edge using the Landmark Field Appliance and Azure Stack. Microsoft Azure will also become Halliburton’s preferred public cloud provider for iEnergy®, the oil and gas industry’s first global E&P cloud linking the oilfield to the office.